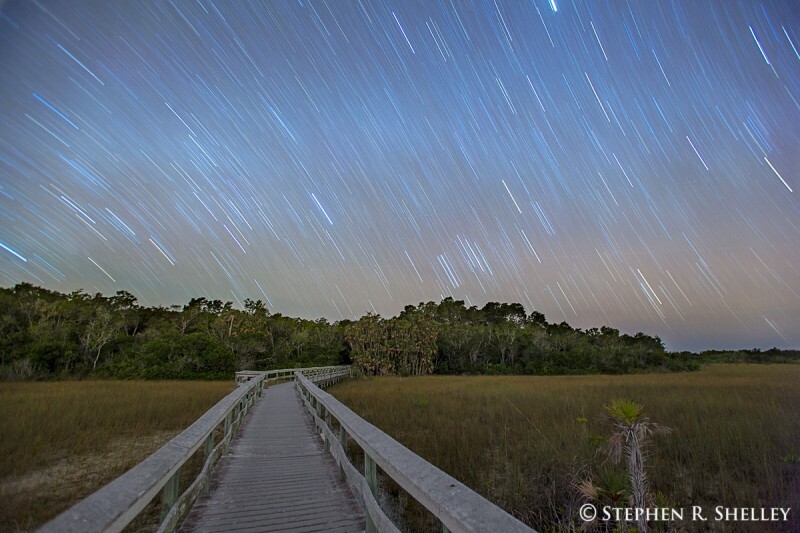 Got up at 2:00 AM to try and photograph the Geminid Meteor Shower out in Everglades National Park. The skies were very active and I must have observed over a hundred meteors but had a hard time actually capturing one on camera. They were either not in the frame or to faint. 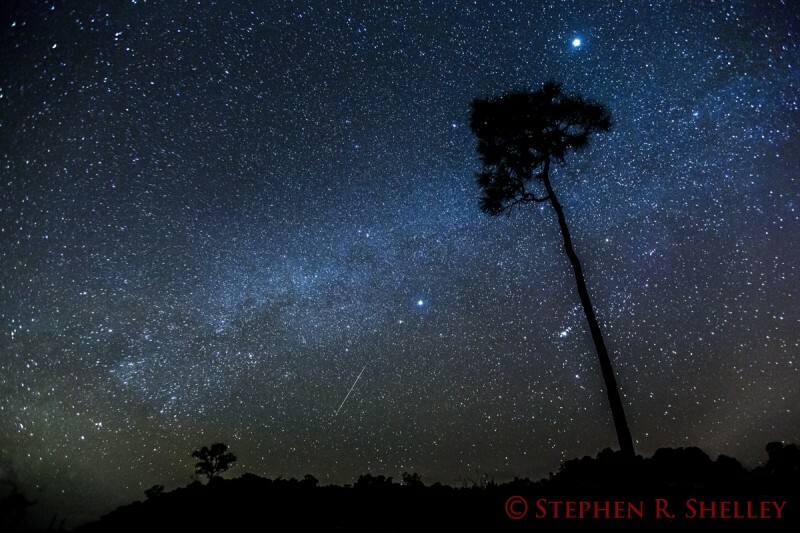 Only managed to capture one small meteor, but liked the image it created. I also shot a few long exposures and painted with my flashlight while I was out there. May try again tomorrow morning. I like them all but with the last shot, I think you may have had the flashlight on a little too long. 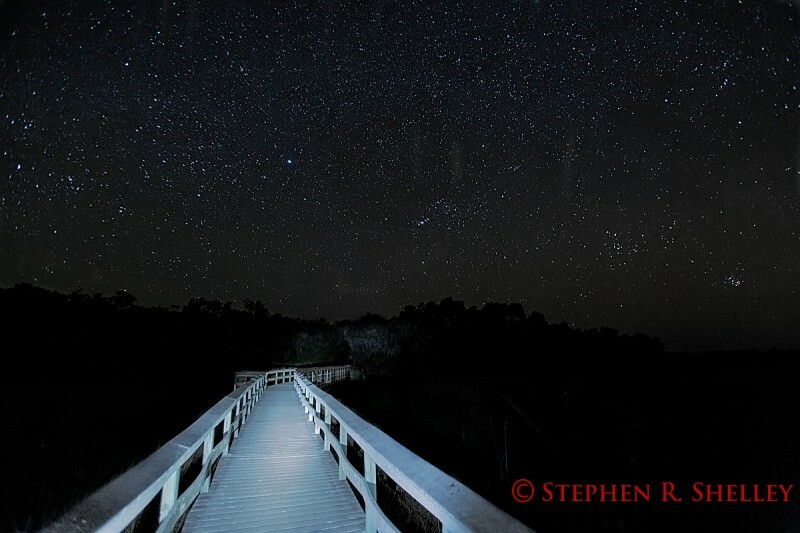 I like the last best, boardwalk looks as if it is glowing. Great shots....I really love the last one. First and foremost, these are some wonderful photographs! If I had to offer a suggestion for improvement, it would be to use a little less light painting in the last one. Don't get me wrong, its still a great image, but a little less light would add a feeling of mystery (and intrigue) to the image. On the last image my flashlight was to powerful to effectively control the painting. The beam was also a bright/bluish white hue. I only briefly flashed the boardwalk for approximately 1 second and it still caused it to almost be blown out in the photo. The boardwalk was itself a light grey color made of plastic instead of wood. This also caused it to reflect more light and appear brighter. Next time I will bring a more subtle flashlight that will allow me to better control the application of light into the scene. Just do some dodging on the boardwalk and boom there you go!